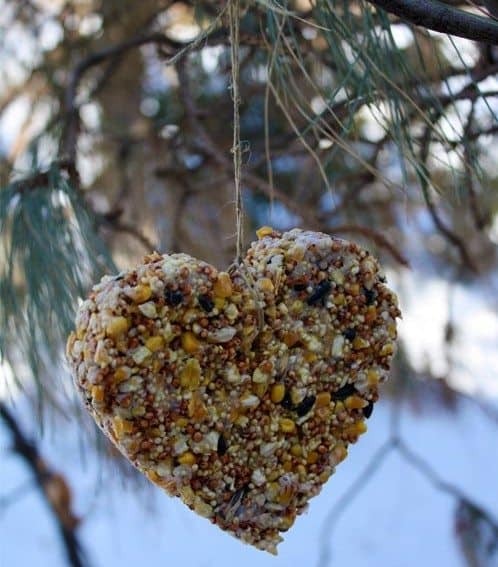 Homemade bird feeders not only help our feathered friends, but making them is a fun family activity perfect for cold winter days! A perfect treat for the birds! Update: please see author’s (Cindy’s from Skip to My Lou) comments below on how to tackle any issues you may be having with this recipe. This is so cute! My daughter will love this project. This is such a great idea and a super family project. Thank you!! Love this! A Valentine’s Day for the birds! Birds can eat the gelatin? I know certain things are not ok for animals….gelatin is ok? Great idea! My son and preschoolers would love to make these. Thanks for sharing. What a cute and cleaver idea. I love this idea and will try it out myself. Thank you for sharing. Very cute and clever idea. I will definitely use this idea and see how well I do. Thank you for sharing. Very clever, I’m going to try to make one that’s the size of baseball. How many feeders does this recipe make? Love this idea. It’s so cute. I will do it. i LOVE this! and tried it yesterday. My hearts are, well…. flexible, bendable! I’m not sure what i did wrong as i followed the recipe. Any ideas on how i might be able to harden them so i can hang them up? I’m dying to see them hanging from tree, being enjoyed by our sweet finches. Thanks! oooh! i just remembered…. i did add 2T of peanut butter to the mixture because i’ve heard its wonderfully nutritious for the lil guys, could that be the cause of the hearts not hardening enough?? We are going to make them for V-day gifts for my son’s class! 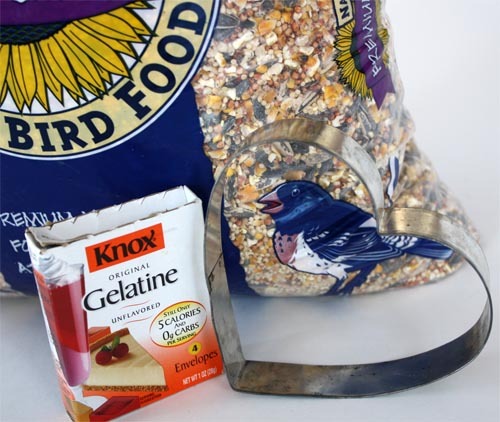 @ jayne – i think yours did not harden because of the pb…i’ve made this type of feeder w/ the kids before but it was w/ birdseed, pb, & lard (or crisco)…they didn’t hold shapes really well and we would pack this mixture in open pinecones and hang them from the trees. 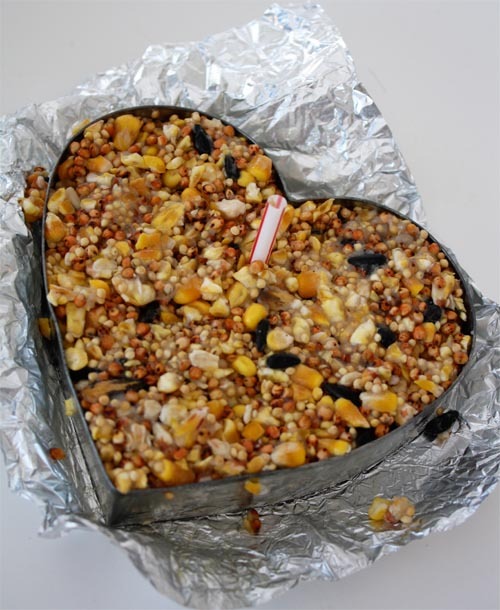 i’m really looking forward to trying this recipe, i like the idea of the gelatin to hold a shape…..
Looks lovely…what a cute Valentine’s Day gift for the birds! This is so cute! LOVE IT! Thanks! 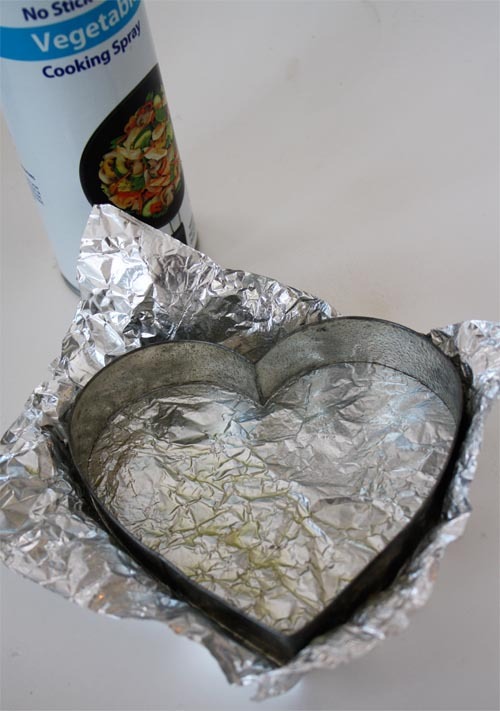 Cute….a definite Valentines idea! Thanks. We tried this with a group of pre schooler, and I could not make the gelatin harden. Did anyone succeed with this project? What is the secret?????? Mine came out great after adding one small step…. A fan! I let them sit overnight and woke up and they were still pliable. Well I pulled out a small table fan and put it on them for 24 hours. They hardened right up and are packaged in baggies for my daughters valentines day party this Friday. 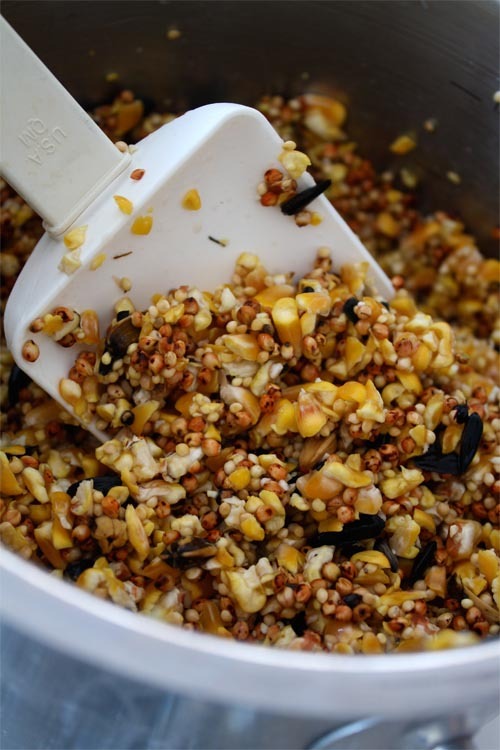 I want to do these with a preschool class – how many does the recipe make? We tried these with my moms group. They were easy and super cute however once defrosted from the freezer they just fell apart. I followed the directions exactly. We hung our feeders on the tree only to find a few hours later they fell right off the twine to the floor. Really cute idea but, it doesn’t work. This really doesn’t work. I followed the directions exactly, and the gelatin set quite well. But the seeds just fell right off, the whole shape crumbled easily, and the ribbon pulled out through the holes as soon as I tried to pick them up. I am very disappointed, had them in the refrigerator overnight with hopes of giving these lovely-looking things to a bunch of relatives tonight for Chanukah. Hi there. 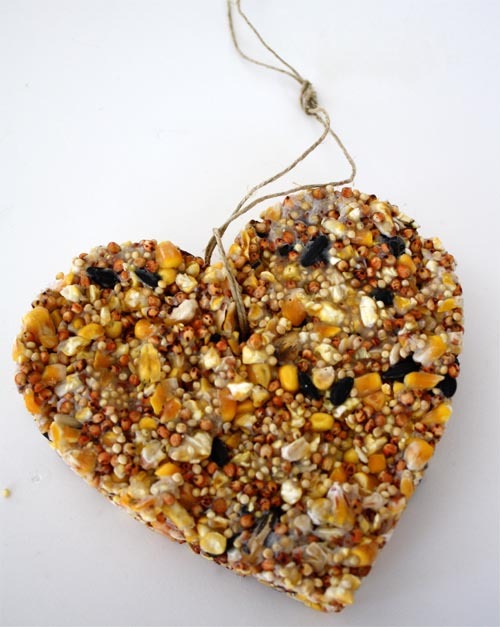 I will be sharing a link to your bird feeder on my next blog post: 10 Ideas for Celebrating Earth Day with Kiddos. http://www.partypaperscissors.blogspot.com.